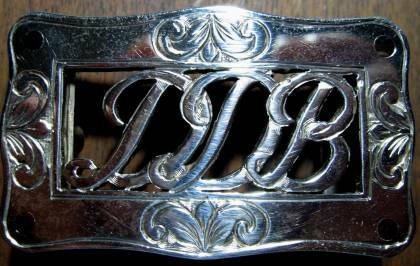 Custom belt buckles are a specialty. Your design or mine. 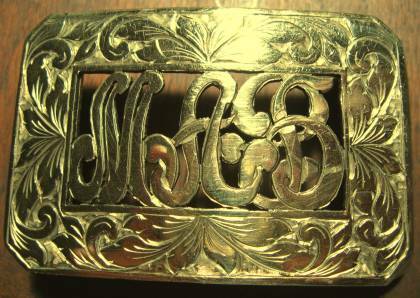 Prices start at $200.00 plus materials. 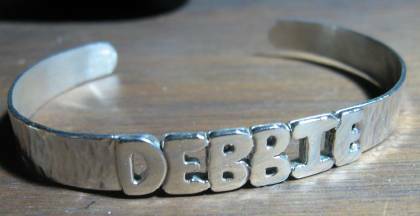 Materials available are: solid gold (10, 14, 18 karat yellow or white gold), sterling silver, 14K gold-filled, nickel silver, and brass. The items shown below are NOT FOR SALE. 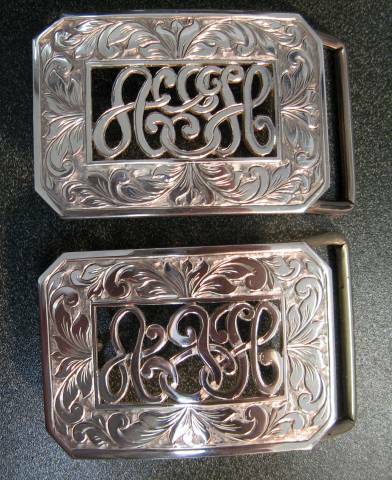 Custom buckles made from nickel silver, sterling silver, gold filled, and solid gold. Prices upon request. 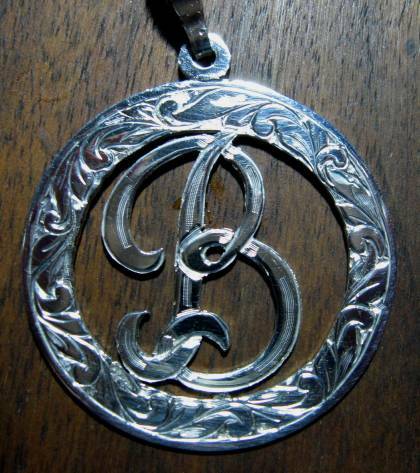 Initial pendants in gold, silver, or gold-filled $75.00-up, plus materials.